In the shadow of Boston's Fenway Park, there is something more golden than a ticket to the Red Sox: free parking. But it is. 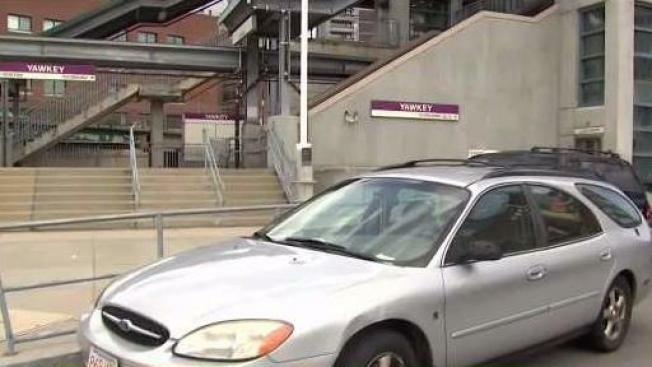 In front of the Yawkey MBTA station, there’s room for about a dozen cars. You can park there - for free - all day, and no one says a word. Silvia drives in from Bridgewater, Massachusetts, scores a spot and then, with the money she saves, Ubers to her job downtown. “Tell the owner I’m sorry,” she called out as she walked to her waiting Uber. She’s talking about Carmine Vano. The Italian immigrant who owns European Car Doctors and rents the garage at 61 Brookline Ave. He has a right of way to get out of his shop through the lot and to the street. But when the new Yawkey station was built, everything changed. “It’s been two years of misery," he said. There aren't any “no parking” signs on the T building or markings on the pavement. The empty stretch became a sure thing for drivers looking to save money - especially on game days. Word spread. Parkers got greedy. Vano said people will squeeze in wherever they can. Blocking delivery trucks, the garbage man - he’s even had to physically move cars trapping him in his shop at night. A Boston Police spokesman who happened to be in the area took a look. He said it wasn’t city property, but warned of public safety issues - emergency vehicles blocked not only from Vano, but potentially from the T and the firefighters’ stand pipe cars that are parked in front of. So we went to the state’s Department of Transportation. A spokesperson told us the property owner should call a tow company. When we told her that according to the City of Boston’s Assessor’s Office, MassDOT is the property owner, she said the agency would investigate. “MassDOT will be looking into reports that illegal parking is occurring on this parcel and, after an evaluation, will determine what steps may need to be taken if illegal parking is occurring," she said. But the MassDOT spokeswoman later said the agency is still unclear if it does indeed own the parcel or if there are any agreements that would give any of the adjacent owners rights to park in the space. Matanes, who said he works at Fenway, estimates he’s saved thousands of dollars in free parking and he won’t stop unless he has to. Silvia agreed. “Maybe the state can put up some kind of sign that says no parking here?” Until then, she said she'll keep parking there. Vano will be there too. The mechanic not working on his customers’ cars, but shooing away drivers. Boston Police have engaged one of their community policing liaisons to see what they can do to help Vano in the short term, but said it will need to be the owner of the land that steps up to bat for a more permanent solution.